We produce 100% cotton, poly/cotton, organic, bamboo or anyblend with high quality Men's and Women's T-shirt, Printed T-shirts, CUSTOM Tshirts, Promotional T shirts and Polo Tshirts. We will provide Quality T shirts at competitive rates. 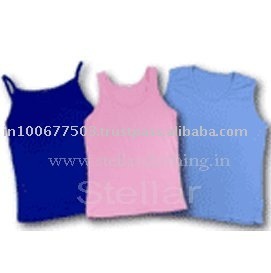 Our products range includes 100% cotton, poly/cotton, 95%cotton/5% Spandex, Organic Cotton, Bamboo cotton or any blend with high qualityknitted and Woven garments for Men's, Women's and kids wear like T-shirt,Printed tshirts, CUSTOM tshirts, Hooded tshirt, Sweatshirts, Pajamas, Tanktops,Promotional T-shirts, Vintage t shirts, Yarn dyed T-shirt, Shorts, Night wear,Caps, Towels, corporate uniforms(Shirts, Pants, Trousers)Aprons and Polo shirt. We are looking forward to your valuable orders and toestablish a long–term business relationship.